I found an article in Crain's Chicago Business about how Chicago Bear's player Israel Idonije has set up a charity to help inner city kids. This is great. I hope every professional athlete does this. However, I'd like to encourage athletes and celebrities to think strategically about their role. 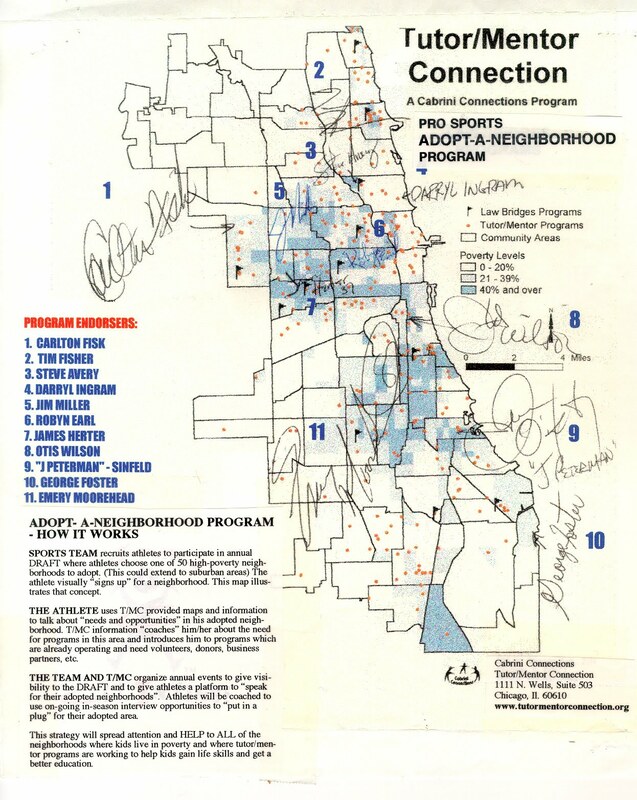 This map is one that was created more than 15 years ago, when professional athlete signed the map to indicate support for an "adopt a neighborhood" concept" that we have been proposing. The idea is that athletes adopt poverty neighborhoods each year, so that during the season, they can talk about their neighborhood, and the non profits in those neighborhoods working with kids, whenever they have a media interview, or when they write a blog article, or twitter. Here's an illustrated essay that outlines this idea. 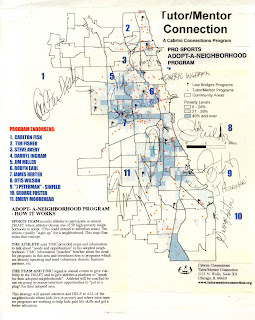 If members of the Bears, Bulls, Blackhawks, Fire, Cubs and White Sox each adopted neighborhoods, there would be a daily flow of attention and resources, to the tutor/mentor programs in each neighborhood, instead of just to a few high profile programs in a few places. Just like great sports teams have great funding, well paid coaches and players, and great facilities, tutor/mentor programs require the same resources to connect with kids and influence the aspirations, habits and career directions of these kids. It won't happen in enough places unless more people are strategic about how they get involved. These are other blog articles that show how sports can influence the lives of inner city kids. As school is starting, Cabrini Connections is seeking volunteers and donors to support its one-on-one tutoring/mentoring, and group learning, that takes place at 800 W. Huron, Chicago, Ill.
Below is an example of what takes place at Cabrini Connections each week. Reel Talent Productions, is the film production company formed by the members of the Cabrini Connections Video and Filmmakers Club. This video is one of two two music videos the group made this summer, over the course of 8 Mondays. These videos were entirely conceptualized, shot and edited by the teenage students. Lip Gloss - Music Video from Cabrini Connections on Vimeo. While Chicago movers and shakers have been competing in the Federal Race to the Top program, Cabrini Connections and similar non-school tutoring and/or mentoring programs in Chicago have been going about the business of connecting youth to volunteers and extra learning. You can look at the availability and distribution of non-school tutoring and/or mentoring programs in the entire Chicago region, by using the Interactive Maps on the Program Locator. These maps and this directory are provided by the Tutor/Mentor Connection part of the Cabrini Connections, T/MC organization. We're a small non profit, and without the help of more than 100 volunteers and a variety of donors, we would not be able to offer the Program Locator to Chicago. If you can help us provide these services send your donation to Cabrini Connections, Tutor/Mentor Connection, 800 W. Huron, Chicago, Il. 60642. If you'd like to support us through the fund raising events we organize, visit this link to learn more. In September you can see the movie Waiting for Superman, and hopefully get more engaged with fixing the public education system. There are links on the Superman sites to forums where you can share ideas with others. Too few, as far as I'm concerned. Here's a site and discussion that I'd recommend you add to your reading list. This one is titled "It's not Just Public Education, It's the Whole System". I have the same fear for my own son, as this writer has. I have an even greater fear for the k-12 kids living in high poverty neighborhoods of Chicago who don't have the community supports and education facilities as I do where I live. 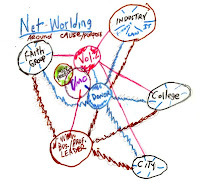 If you want to help improve schools, reduce violence, close the gaps between rich and poor, one step you can always take is that of a "network builder". This graphic illustrates how you can point to a Tutor/Mentor Connection blog article, or a page on our web site, or a map showing locations of other tutor/mentor programs in the Chicago region. You can do this once a day, or once a week. You can do this by posting an update on Facebook, or linked in, or by delivering a sermon from your church or synagogue. You can do this by posting a notice on a company web site, or putting a message in a print advertising message. If enough people do this every day we can build an army of every-day support, that reaches tutor/mentor programs in most of the high poverty neighborhoods of Chicago. Don't wait for someone else to take this role. It's one that any one of us can take every day. 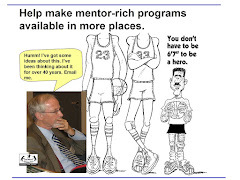 Visit this page on the Tutor/Mentor Institute web site and play the animated presentations that give you more ideas of ways you can become a leader in this movement. Karina Walker of the T/MC attended a workshop hosted by Community Media Workshop and posted this article with tips that non profits can follow to get stories told by media. In today's Chicago Tribune, three pages were devoted to telling the stories of 303 shootings in Chicago during July 2010. These are tragic stories and are certain to capture reader attention. While the Tribune team of writers, editors, web site designers, etc. were assembling the Sunday Paper, I was in Indianapolis sharing some of my ideas for creating community collaborations and non-school tutor/mentor programs, that might help prevent such violens. Here's the presentation that I delivered. However, while I was in Indiana, the Cabrini Connections, Tutor/Mentor Connection team was putting together their own stories. El Nix wrote about "The Big Score" in one of his comparisons of a tutor/mentor program to a college or professional football team. Karina Walker compared the T/MC to Henry Ford's assembly line. Bradley Troast talked of how universities can partner with tutor/mentor programs. At the same time, Mike Trakan kept spreading the word about the August 29 Tutor/Mentor Jam Concert in Chicago. We don't have the distribution of the Tribune, but our stories focus on actions and ideas that can help Chicago be a better place to live. I hope you'll read these and pass them on to friends. 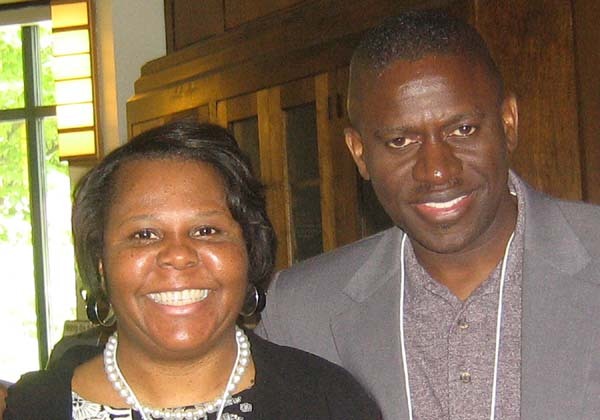 This Saturday Aug 21, I'll be the keynote speaker at a Tutor-Mentor Summit in Indianapolis. 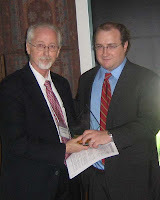 In 2004 we began meeting in Indianapolis, at IUPUI, with the goal of helping a Tutor/Mentor Connection grow in Indiana. That process has been slow, but one outcome was that IUPUI rebuilt the main Tutor/Mentor Connection web site in 2005 and still hosts it today. The timing of the Summit is perfect. It not only brings people together to share ideas, but serves as a recruiting fair to help programs in Indianpolis recruit volunteers for the start of the 2010-11 school year. The on-going idea sharing with IUPUI has helped the Tutor/Mentor Connection do things it could not do with its own limited resources. It's helping Indianapolis duplicate what we're doing in Chicago, without "reinventing the wheel". Our hope is that businesses, universities, hospitals, faith groups, foundations, and non profits, will join together in these events, and in on-line forums, so we're all doing as much as we can each day to change the future for kids living in poverty. We'd like to be working with business and non-profit groups, and university teams, in every city, the same way, and for the same purposes as we've been building our relationships in Indianapolis. 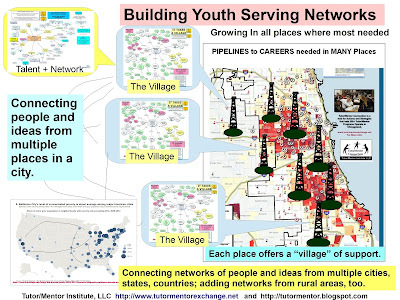 If we can expand the number of connected cities and organizations, where each member is sharing ideas and resources, based on what we know, and what we have to offer, we can each be more successful of reaching kids with high quality, mentor-rich programs. Join us if you're close to the Summit this Saturday. Or join us in the Tutor/Mentor Portal on the internet. We held our last Tutor/Mentor Leadership and Networking Conference in May. Now we're looking for space, and sponsors, to do the next one in November. We've offered this conference every six months since May 1994, to help leaders connect and share ideas, and to build visibility that draws volunteers and donors to all of the tutor/mentor programs who attend the conference, or that are on our Chicago Program Locator. I was honored to receive an award from the Serve Illinois Commission on Volunteering and Service, presented by Ted Gibbs and Fred Rodriguez. 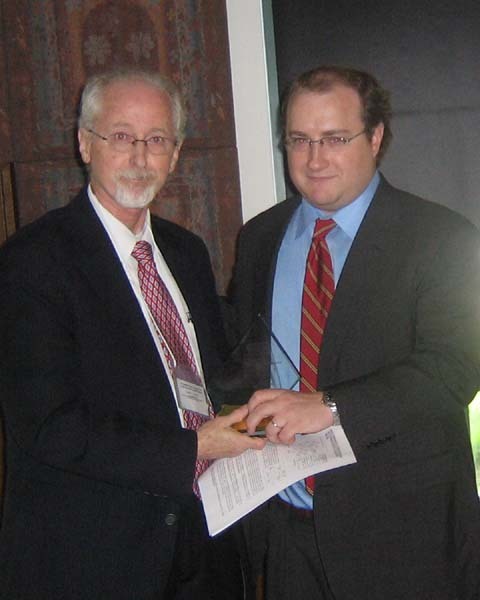 I was a commission member from 2001-2009. One workshop was presented by Darrell Finch, with the Milwaukee Housing Authority. He sent his presentation last week and it's now on the conference agenda page. Leaders of many different tutor/mentor programs in Chicago volunteer their own time to present workshops and sit on panels. They are active participants in the networking, not just people whocome for an hour, give their ideas, then leave. Here is a slide show with photos of many others from the May conference. While the next conference is in November, what we're all focused on right now is getting our programs started for the 2010-11 school year, and recruiting students, volunteers and donors. This graphic illustrates the four key times each year, when T/MC tries to call attention to tutor/mentor programs, and help them attract needed resources at the same time. This flash presentation outlines this strategy. If you're reading this, I hope you'll pass it on to people you work with, study with, or socialize with. Encourage them to be a volunteer, or to pick one of the programs on our list and make a donation. Look at the Tutor/Mentor Jam Concert that we're holding on August 29. Maybe you can attend. Maybe you can help us find donors. Or maybe, you just invite some people into a conference room, show this, and say "what does this mean to you, or to our organization?" If you keep doing this throughout the coming year you'll begin to build your own understanding, and find more and more ways where you can help tutor/mentor programs help kids. Benchmarking. Not just for NPOs. Over the weekend I reviewed all of the links in the Process Improvement section of the Tutor/Mentor Connection library. I found three to web sites that talk about benchmarking. In this one, they say "Benchmarking is a practical tool for improving performance by learning from best practices and understanding the processes by which they are achieved." In this one, they say, "Benchmarking is the process of determining who is the very best, who sets the standard, and what that standard is. In baseball, you could argue that seven consecutive World Series Championships made the New York Yankees the benchmark." In this one, they say "... benchmarking ...[is] ...'the process of identifying, understanding, and adapting outstanding practices and processes from organizations anywhere in the world to help your organization improve its performance.'" In much of the evaluation and planning information I read, there is an emphasis on building programs based on "evidence based practice". If non profit tutoring and/or mentoring programs are applying the benchmarking lessons of the three web sites I am pointing to, it seems to me each would be finding ideas to make their programs consistently better. However, I wonder the businesses, foundations, colleges and others who want the same goal as we do at Cabrini Connections and other tutor/mentor programs, are benchmarking what they do against what competitors do to constantly innovate better ways to help youth move from birth to work. For anyone to do effective benchmarking, they need to have the time to constantly look at what others are doing. It would help if each city had a list of youth organization web sites like the Tutor/Mentor Connection offers Chicago. If you don't have a list of programs to benchmark against, it becomes an even bigger challenge to adopt this process. We break our database down by type of program, and age group served, so benchmarking can compare programs focusing on similar populations. We even offer a set of questions organizations could use to compare their web sites against those of other tutoring/mentoring programs. How would faith groups, or accounting firms, or engineering companies compare what their volunteer and philanthropy programs do to support tutor/mentor programs in their communities? Do they have teams of volunteers focused on this? I don't know of any web site that is aggregating links to different businesses, hospitals, faith groups, etc. with a goal of providing information for this type of benchmarking. We do collect some links to business, hospitals, and math/science groups, that you could look at and compare your own efforts, to their efforts. However, this is insufficient. Is anyone collecting this information? How can others who share the same goal of mentoring kids to careers improve on what they are doing if they don't have anything to benchmark against? PhD in Community Problem Solving? If you're the Mayor, the Governor, the President, or a student living in a neighborhood with high poverty, there are many things you need to understand in order to build a comprehensive, long-term strategy that changes the negative consequences of the high poverty in different places. Have you ever created a map showing what you need to know? 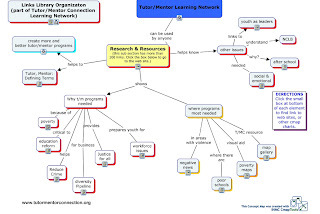 Look at the Tutor/Mentor Connection map below. You can see the actual map here. 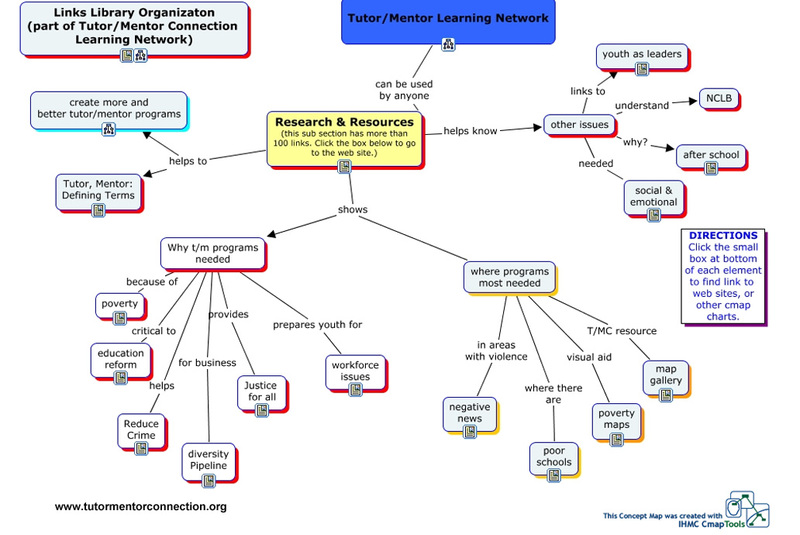 This is just one of four major sections of the Tutor/Mentor Connection on-line library. You can find an animated guide showing the entire library at this link. This is a huge amount of information. And it is constantly changing as we add new links and articles and as the people we link to add new information and links to their own sites. 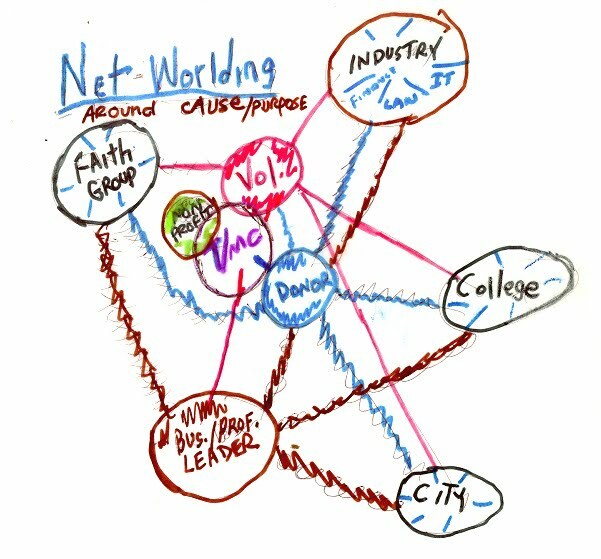 This is a knowledge network, focused on a goal that many people in the world share. There is no way the President of the United States will spend much time, if any, browsing the sections of this library. Nor will the Mayor, or the CEO and decision maker at most of the businesses, universities and faith groups in the country. Yet, without understanding these ideas, and knowing how one problem relates to the other, how can we spend limited dollars wisely, and in all of the places where poverty is the root cause of a growing gap between rich an poor? There are some ways to overcome this problem. Faith groups have text that provide the beliefs of their communities. Each week people gather to read and discuss small parts of these texts, led by people who are facilitators, or who have spent more time reading and understanding the material than others. The information on the T/MC web site could be used by reading and learning groups in churches, temples, and synagogues all over the world. Colleges have even more information in their libraries than we do (although we point to many colleges in our own library in ways that connect silos to each other.) When a student enters a university, they are not expected to know everything on their first day. Some spend up to 10 years getting advanced degrees in their field of study. If an alumnus of a university provided an endowment, focused on using the Tutor/Mentor Connection as a curriculum, the university could be guiding students through this information over a period of many years. More importantly, the university could keep these students connected to this information, and the university, in the lifetime after the student graduates! Here's an example of how a first year class at DePaul University began looking at this information. High Schools and Colleges have Service Learning Programs - Imagine if a high school were to set up a "tutor/mentor connection" with the same structure as the student newspaper, or the student council, and with faculty support. From first year to senior year, theses students could be learning to use the information in the T/MC library, and building reading, writing, communications and collaboration skills as they find ways to share what they are learning with family, friends, alumni, etc. Students who have had this exposure in high school would be much more likely to take up this path in a college program, if it existed. In my Twitter feed today, I was encouraged to read a Business Week article titled Creating Collaboration takes more than technology, written by by Evan Rosen. The point was that while business is spending millions of dollars on collaborative technology, and training programs to motivate employees to use it to add value to a business, many people are resisting. Yet, if businesses were encouraging employees to volunteer in social causes that were important to them, and making this collaboration technology available to them, many would learn to use the tools through the work they are passionate about quicker than the work they are paid to do. Thus, the business community, who has huge workforce challenges, could also be encouraging teams of employees to use the Tutor/Mentor Connection library as a resource for their own learning, reflection and innovation. There is no entry fee to this library (although we certainly need donations to keep it available to the city of Chicago and the world). Anyone can use it in the ways I've described, or innovate new ways to use it to help them close the gaps between rich and poor. Karina Walker, our 2010-11 Fellow from Northwestern, used this graphic in a blog article she wrote today, showing how volunteers who get involved in tutoring/mentoring begin to show others why, and how, to get involved as they learn more themselves. I wrote a blog article a while back showing how volunteer commitment grows the longer they are involved. Li Li, an intern from the university of Michigan, converted that into a flash animation. I met with Bill Curry of Breakthrough Urban Ministries today, and we talked about how volunteers in many programs could be consistently sharing their experiences with peers, and helping their companies get involved. This is similar to the Sunday School Teacher who leads a group discussion of the scripture that was part of that week's service. I showed him a strategy that faith leaders in thousands of locations could use, to educate more people about what a tutor/mentor program might do to help kids if there were a more consistent flow of needed resources. We talked of how programs working together might increase the size of the funding pie available, rather than constantly competing for shrinking resources. We're holding a Tutor/Mentor Jam Concert on August 29. This is the 15th year we've organized events in August to draw volunteers to all of the tutor/mentor programs in Chicago. Our aim is to help volunteers from many businesses and faith groups join different programs, then help those volunteers find information that helps them become effective mentors. As that happens, our goal is to recruit one, or two, to become coaches within their own companies, learning more about tutoring/mentoring over a period of months and years, and constantly sharing this so more people begin to get involved as volunteers, leaders, donors and advocates. 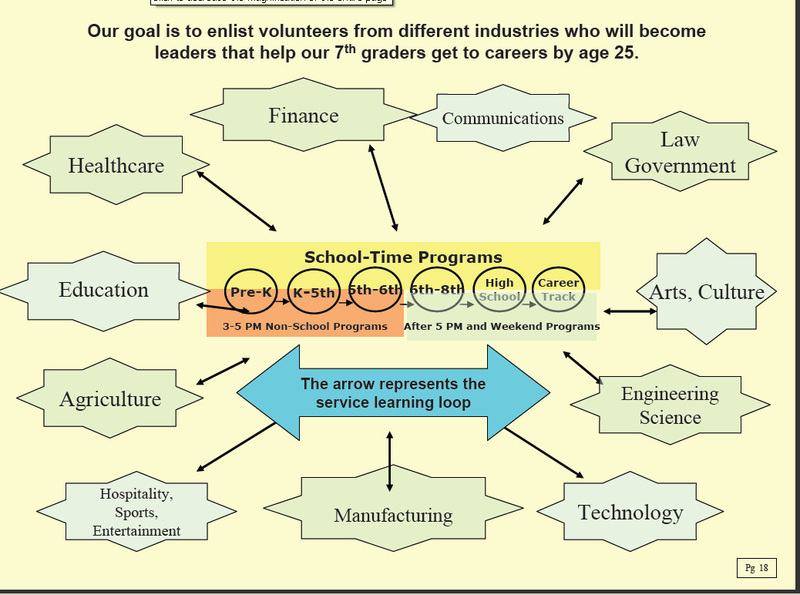 If volunteers from every industry are learning where and how they can use their time, talent and dollars to help tutor/mentor programs connect with inner city kids, then each program will have multiple sources of funding, and a much broader diversity of volunteers to mentor their kids. All this takes is for one, or two, people to begin learning about the resources on the T/MC web sites, and sharing this via blogs and networking, with their peers. If you join the Tutor/Mentor Ning group we can even coach you in the process. Create opportunities. That's the goal. While many strategies to reduce violence focus on policing strategies, we keep encouraging investment in comprehensive, volunteer-based tutor/mentor programs that can help expand aspirations and lead young people to careers out of poverty. Here are two stories of young people who started with us many years ago. Tramane Montel Ford got his first taste of acting in 1995 when he became part of the video group at Cabrini Connections. 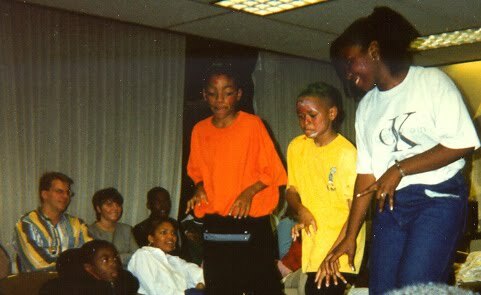 On August 7th he performed his new show, The Tramaine Experience: A One Man Show, and raised money so we can help other kids have similar experiences. Isaiah Brooms was a Keynote Speaker at the November 2009 Tutor/Mentor Leadership and Networking Conference, where he told how his life has taken a positive direction because of the support he received from his mentor, and the tutoring/programs he was part of. Here's the full transcript of his presentation. We could not tell these stories if an orchestra of volunteers and donors had not provided time, talent and dollars to enable us to continue as an organization for the past 18 years so that we can provide this support, and enable these connections to grow. Now we're in a deep economic struggle, and we need new donors and benefactors to step forward with the dollars it will take to offer the 2010-11 school year program. Visit this page to learn of donor opportunities, and this page to send a contribution via PayPal. Saturday's Chicago Tribune editorial page headline was "13 years old" with a photograph of a boy shot 13 times. In this editorial the Tribune says the city can reduce the number of homicides with the right policing strategies, with strategies that target repeat gun-offenders, and with creative anti-violence programs like Cease Fire. But why did they not go further to add a call for more and better non-school programs to mentor and tutor, and provide extended learning, and opportunities for youth to build vocational and career skills? Better policing and programs like Cease Fire are small buckets of water being poured on a raging inferno. This is where the pipeline from birth to work is already gushing failures. This city, and its suburban neighbors need to be finding ways to support kids from pre-school through college or vocational training and into jobs and careers. One part of that strategy needs to include volunteer-based tutor/mentor programs where kids can get extra help, and where adults who don't live in poverty, can be lifelines, connecting kids from poverty neighborhoods to opportunities the they might have with extra help. For many volunters, this is a first step for a life time of involvement. I know. It was my first step more than 37 years ago when I first became a volunteer tutor working with a 4th grade boy living in Cabrini Green. Each of the programs operating in Chicago will be looking for volunteers as school starts. they will also be looking for operating dollars so they can provide the support needed by youth and volunteers who join these programs. 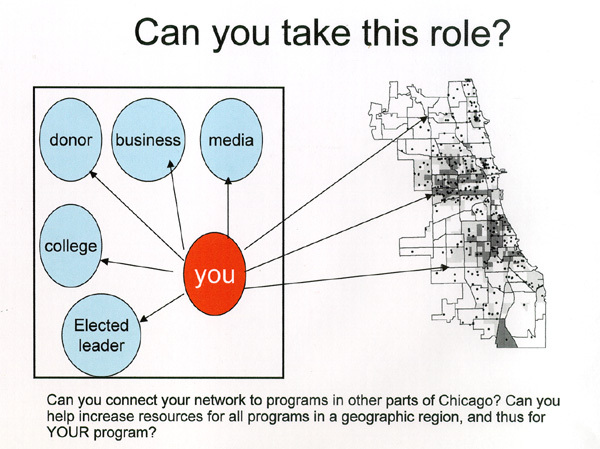 If the Tribune, SunTimes, and other media do as Chicago Access TV is doing, and use point readers to the Tutor/Mentor Connection's database of Chicago area programs, they can help more volunteers and youth connect, and they can help them stay connected for months, or even years. Read more about volunteer recruitment strategies and incorporate these in your own actions so we can help build a stronger foundation and prevent fewer young people from becoming victims and lost potential. 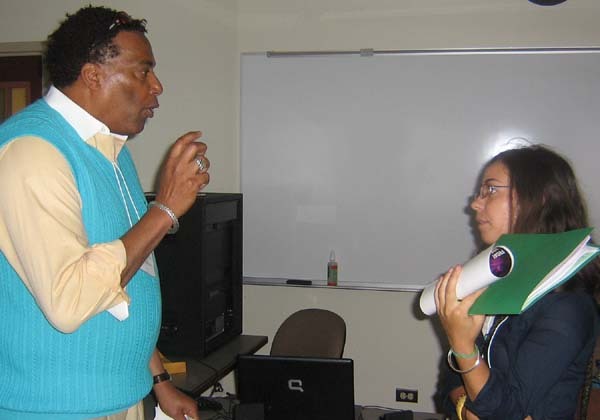 The Tutor/Mentor Connection and Chicago Access TV have worked together each August since 1995 to encourage volunteers and donors to join tutor/mentor programs in the Chicago region. This is the slide show that will play on TV27 during August. 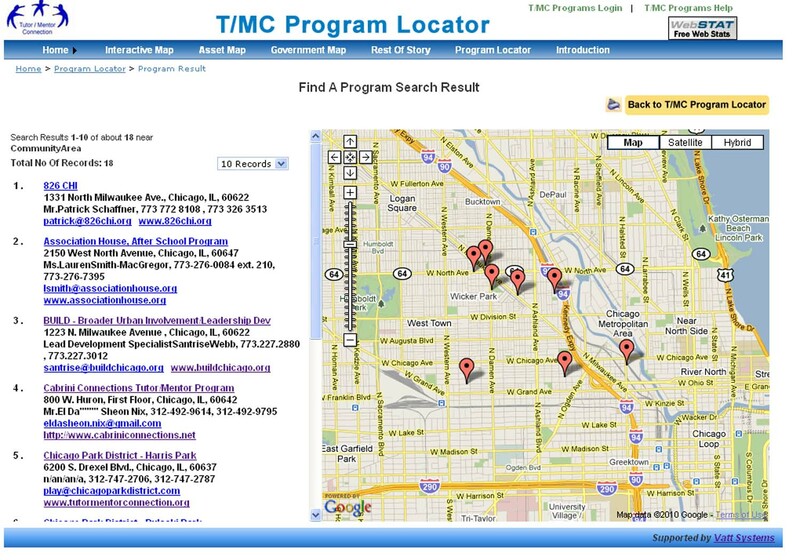 Visit the Tutor/Mentor Program Locator and view this "how to use program locator" guide to find contact information for volunteer-based tutoring and/or mentoring programs in Chicago. The information we share has a long life on the Internet. 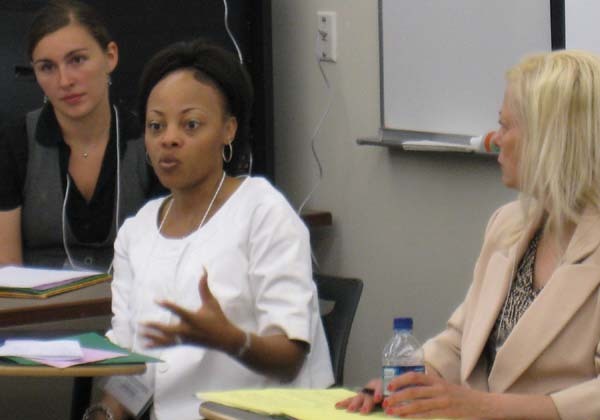 Here's a page sharing information about a 2006 Tutor/Mentor Conference. This is on a Lifestyle.com web site. The good thing about this is that it provides many more entry points for someone in the world finding a path to our web sites. That can lead to greater support for what we do in Chicago, and greater transfer of our ideas to other places. One negative is that as we have updated web sites over the years, the web links in these older articles will be broken. Wonder how that might be fixed? One of the goals of the Tutor/Mentor Connection is to build awareness for all of the tutor/mentor programs in Chicago, not just our own. Karina Walker is our T/MC Research and Collaboration Coordinator. That means she maintains the quality of information in the Tutor/Mentor Program Locator, and she visits other programs to learn what they are doing. She visited the Chicago Lights program last week and this is what she wrote. Nicole White was in this role for the two previous years. Here are articles she wrote after visiting different tutor/mentor programs. Every year for the past 35 years I've started August by sending letters and advertising out to recruit people to be volunteers at the tutor/mentor programs I've led in Chicago. The goal is to build awareness in August, motivate decision-making and sign-ups during the first weeks of September and hold orientations, volunteer-matching and first connections with kids by the last week of September. If we can do that, kids just starting school in late August or early September, will have mentors and tutors to support them early in the first grading period of each school year. In 1993 we formed the Tutor/Mentor Connection with a goal of helping volunteer-based tutor/mentor programs like ours grow in all parts of the city. First we had to build a master database, which we started doing in 1993 and 1994. Then we had to find ways to create a communications campaign, that would reach more potential volunteers, more often, so we could get their attention, and motivate them to be involved. 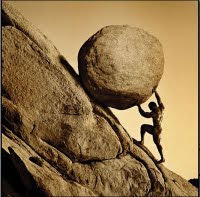 In many ways, this has been like pushing a rock up a mountain. We've never had much money, and Chicago is the third largest city in the country. In order for us to be successful,other people need to help. And many people have helped. This list shows many of those who contributed time, talent and dollars in the years since 1994. This link shows slides that Chicago Access TV has been posting on their Channel 21 station every August and January for nearly 10 years. On August 29 of this year, we're hosting a Tutor/Mentor Jam Concert. All of the bands are donating their time and the Darkroom is donating the space. Now we need others to help us promote the event, and help us raise some money. One way that tutor/mentor programs can help is to "buy a square" on this VOLUNTEER page. For $50 we put your logo and web link in one of the squares. This helps you attract potential volunteers and raises some money that we use to help you. One way business, faith groups and others can help is to add a BE A VOLUNTEER page to your web site, and on that page point to the Tutor/Mentor Jam and the Tutor/Mentor Program Locator. If you can make a financial contribution, that would be even better. August is only the beginning of what we need to do throughout each year. Recruiting a volunteer is just the start. Throughout the year we need to continue to raise visibility, recruit more volunteers, coach those volunteers so they become effective tutors/mentors, and help programs find operating dollars to support this process at each location. This collaboration strategy link shows events we'll organize. We hope you'll help us by pointing people you know to these links and by encouraging people to give time, talent and dollars to help inner city kids connect with volunteers in tutor/mentor programs throughout the region.